Our health can be greatly compromised if we believe in the current medical official opinions and food industry myths, which agree that we do not need a special supply of vitamins, minerals, trace elements, etc. when we eat “right” (what is commonly called the so-called balanced Diet). This has been proclaimed by the current official administration for decades and is characterized by a significant negative attitude towards the use of food supplements. Therefore, the administration does not allow food supplement manufacturers to use medical research (for sales and marketing purposes) in its literature, even if the results of these studies accurately confirm the value and importance of dietary supplements. But this is a political-economic attitude, not a scientific one. If we accept these unscientific views, we are likely to live in a state of average poor health, or, as many doctors prefer to call, in a state of average good health. This means that we will live under “average” conditions: we will often have flu and other infectious diseases, headaches, fatigue, gum disease, menstrual problems, depression, sleep disorders, overweight, heart disease, cancer – all Accelerates the aging process and leads to “moderate” premature deaths. I think that it is difficult to reconcile with such a situation, it is difficult to accept this situation. In the last decade there have been significant changes in the provision of medical care. Many doctors are increasingly interested in the use of food supplements in medical, but mainly in preventive, curative care. Many of them have a variety of dietary supplements, although some of them, even if they are using them, are not recommended to their patients. Some physicians take a strange attitude: they are enjoying themselves (favorite Vitamin E), while claiming that there is insufficient scientific evidence to recommend their patients. So we have to wait for these doctors to recommend something to us what they are doing themselves, or the decision to positively affect our own health lies on ourselves. Many doctors turn to use food supplements when classical treatment fails. In my opinion, it is better to use and recommend food supplements in a timely manner until the situation is poor. Unfortunately, many physicians fear the derision of their colleagues when they decide to recommend food supplements to improve their health care. But for the preventive and curative effects of dietary supplements, there is tremendous amount of scientific evidence in medical literature. The situation may be complicated by the fact that the medical public is not sufficiently informed about the nutrition and importance of food supplements with all the other contexts because this issue is not given enough attention in teaching or postgraduate education. This may mean that the average secretary is better informed than some doctors. Unfortunately, the current teaching of medicine does not bring much change in this direction and most of the knowledge must be obtained by the physicians, if they decide to improve their medical-preventive practice, to obtain a separate study of available literature. But the positive fact is that the demand for information from this area is slowly rising, and more and more doctors are beginning to be interested in nutrition and food supplements, as there is a growing interest in other medical, haggard, alternative disciplines and practices. There are many contradictions in the development of medical education and health care provision. It is in the old tracks of thinking about nutrition and nutritional issues. It is still a wholly erroneous idea that the therapeutic effects and values ​​of dietary supplements are not supported by scientific literature, even that their use may be dangerous. This is usually the main and the last argument (but there is no support in the medical literature for these claims). However, it will often appear that the hidden motif of these negative statements is to support pharmacological societies and maintain current health care systems to prevent any changes to these systems. Sometimes, however, the motivation of opponents is totally unclear. Opponents sometimes use very indiscriminate “mafia” methods of intimidation, such as the Conference on Contradictions in Nutrition sponsored by the University of Vermont, USA in 1995. There has been a telephone threat to the conference speaker if he allows lectures on the positive effect of dietary supplements on the course of some Illness. Based on these threats, one of the speakers withdrew his lecture. Sometimes opponents claim that using food supplements only leads to “expensive” urine, because most of the vitamin administered is excreted in the urine. This is, however, completely irrelevant, meaningless, because the question is not the ultimate fate of these substances, but their influence in the time of “stay” in the organism, their influence on the organs and tissues, including the urinary system. It is a fact that there is a wealth of evidence in the current literature about the positive effects of dietary supplements in the prevention and treatment of various diseases. These studies and research results are completely ignorant of the opponents ignored. It is important to realize that nutrition and food supplements are just one of the components of comprehensive health care. Of course, it also includes, for example, physical activity, relaxation methods, stress and its management, etc. The basic factor in prolonging active life is to prevent and successfully cure (or at least successfully cure) diseases if they occur. 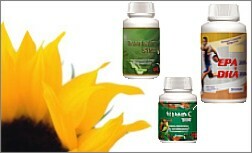 The use of dietary supplements is one of the main factors in achieving this goal. However, there is a need for a positive attitude towards one’s own health and an active approach to achieving this goal. To do this, it is necessary to realize the entirely priority principle: health is my property and my decision-making lies in my hands. If I want to live the longest possible life actively, decision-making rests on me, not on systems that prefer more political-economic aspects than scientific arguments. Diagnosis (name of the disease) is actually the name of a given set of known symptoms of disorders of normal functions of the organism and its organs. If the set of these symptoms does not fit into a known file, then the diagnosis is not possible or incomplete, but this does not mean that you are not sick or have no health problems. Many doctors then think that if the diagnosis is not clear, your symptoms are not real or “just in your head”. Or they think the situation is not serious enough to require healing (“come later when the condition gets worse and then we’ll see what to do about it”). This was the diagnosis of premenstrual syndrome before it was accepted as a “legitimate” health problem, as it is with chronic fatigue syndrome, which has been recognized as a health problem only in recent years. Missing diagnosis in no way means that you are optimally healthy. And if we look at the problem of the diagnosis deeper, the number of symptoms is based on their confirmation by biochemical and other instrumental examinations. However, the results of these tests depend to a large extent on the individual’s lifestyle, which has significant metabolic relationships. It is assumed that up to 85% of all health problems are the result of a lifestyle whose main component is nutrition and its quality. Many health problems can be removed without medication and surgery. Of course, not all of them. There are a number of so-called supportive, complementary, food factors that are not essential because the body can produce itself from other substances but play a significant role in maintaining healthy life functions. Their production by their own organism is often insufficient to maintain optimal health, so we also include them in food supplements. Also due to the fact that their supplementation to the diet can significantly affect the state of health in the sense of prevention, as well as the treatment of some diseases. These include, in particular, Coenzyme Q-10, L-carnitine, gamma-linolenic acid, some non-essential amino acids and many other dietary supplements. Another very important group of non-essential nutritional supplements is a group of bioflavonoids with significant antioxidant capacity, etc. There is another quantity of dietary supplements, but they would go beyond the scope of this article. Just one remark: many food supplements have received “recognition” – they were, for their undeniable healing effects, transferred to a group of drugs; However, the decision to use them has been reversed from the decision of their own in the hands of traditional care providers (such as some bioflavonoids, alpha-lipoic acid, Gingko biloba extract and many others). It is good to economically profit on food supplements by shifting them between medications – then you also need to cover their use with health insurance! Of course, it can be said that it is not natural to use food supplements. But then we completely ignore the fact that food in industrially developed countries does not contain enough nutrients that determine the quality of the diet, that we do not suffer from defects of karenization on the one hand, but we also do not have the optimum state of health. Furthermore, an undeniable fact, backed by a number of scientific studies and work-proven practices, overlooks the fact that the use of dietary supplements improves the state of health, regardless of their preventive and healing effect. Many food supplements, unlike medication, have a greater impact on improving the body’s physiological functions, improving the metabolism processes and protecting the organism from the adverse effects of environmental stressors – let us realize that we do not live in a clean, natural environment but in an artificial environment All the detrimental effects of this fact. Food supplements thus help protect against unfavorable but hard-to-defeat (eg disease) natural and man-made effects. The main problem is the understanding that their own health lies mainly in their own hands depends on their own decision. The use of dietary supplements has had a positive effect on improving health for many years and an increasing number of people, as evidenced by an increasing number of specialist literature.